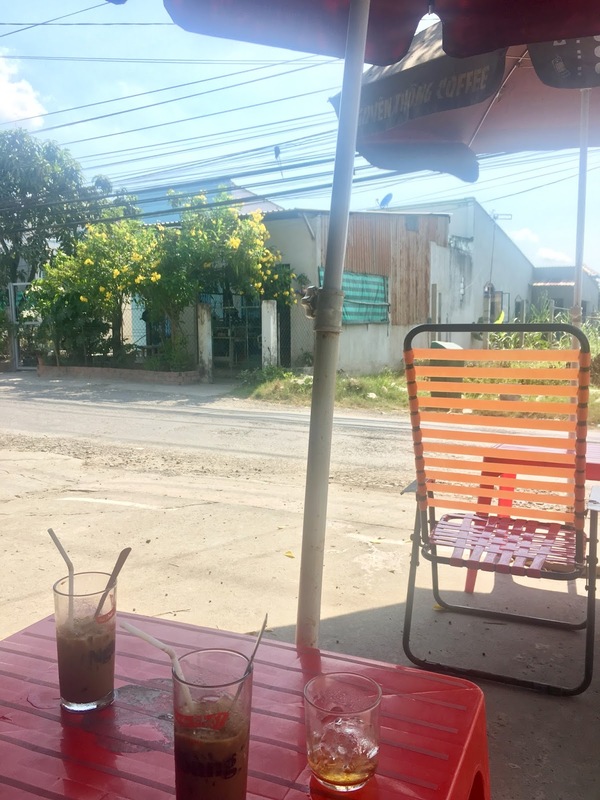 If you're looking for a quiet getaway from Ho Chi Minh City where you can work, eat, drink beer, and make friends, try living in Cần Giuộc in Long An province! We spent the week doing just those things and kept our daily spending under $25 per day for two people! 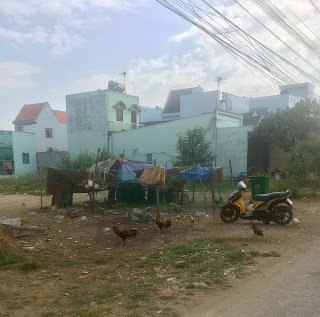 We have been here for a month and will be spending our last two week in Vietnam back in Ho Chi Minh City, which is more expensive but just as friendly. 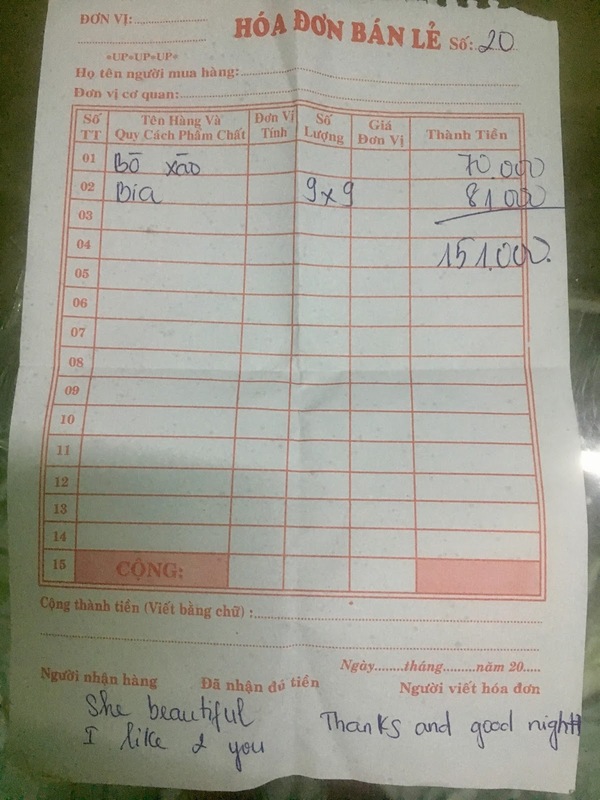 So what are our living expenses in Vietnam this week? 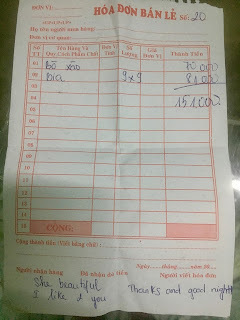 Check out a previous week's budget to see a video tour of our $9 per night tiny home in Cần Giuộc! Since we don't have any comfy chairs, we are actually moving BACK to District 8, in Ho Chi Minh City -- read all about why we loved it here! 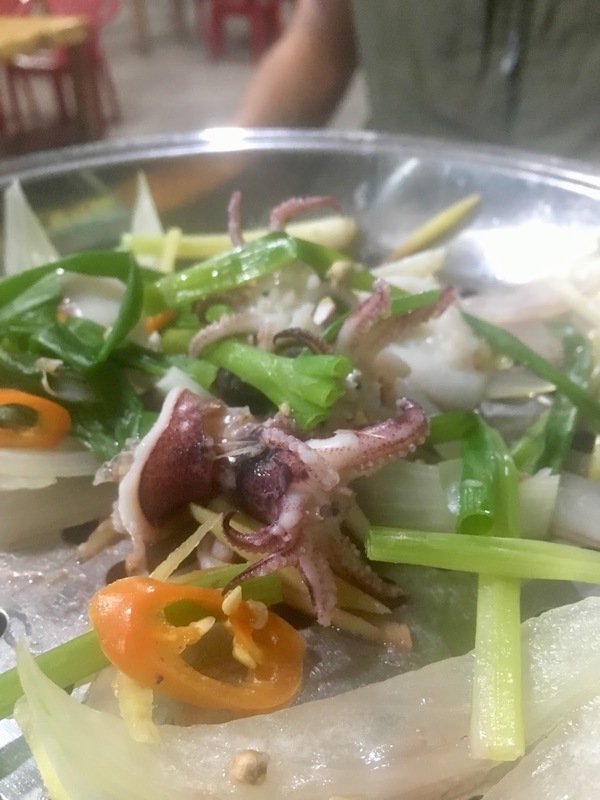 This week in Vietnamese food featured coffee, banh xeo, what we're calling "shrimp tacos" (not tacos), and a stranger buying us squid after MANY toasts. The squid wasn't on our bill, but the guy who ordered it to our table did write us a note: "She beautiful. I like 2 you. Thanks and good night." What a lovely man! We also drank a lot of beer because we went to the gym a lot, and that makes me feel like I've "earned it". That's how health works, right? We spent some lovely evenings playing with babies and talking to the neighborhood kids. There's one particular little girl (our neighbor) who likes to yell until we say hi to her, at which point she tries to steal your glasses or grabs and licks your hand. She's adorable. The older kids played a *hilarious* game this week of stealing my running shoe from our patio. They left a treasure map (obviously unreadable) and then when we were not entertained by their thievery, told me that the dogs took it. They even gestured that the dogs threw the shoe in the pond. We were very unhappy with them for about 24 hours, then they magically found the shoe somewhere and brought it back! They still blame the dogs... although it has no bite marks, and isn't in the pond. Since the kids can't give consent I'm not including their pictures here, but let me tell you, there are some DOOZIES! We went to the gym 6/7 days this week, since we wanted to get the most out of our month-long memberships. Warren "accidentally" bought a year-long Audible membership for $100 -- I've added this into "bills back home". 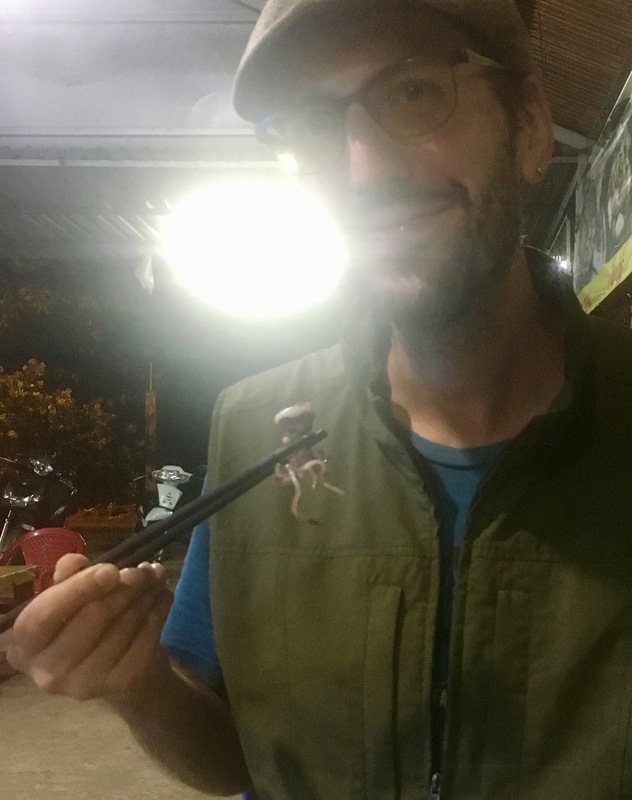 Check out some other posts about our lovely time in Vietnam!